According to a news article posted by The Times of India at their news infosite, ISRO will recover half of the total cost incurred for next week's launch of 104 satellites from the foreign capsules mounted on its workhorse rocket PSLV-C37—of the 104 satellites to be launched on February 15, only three are Indian. "We want to make optimum use of our capacity. We are launching our three satellites. One is of 730 kgs while other two are 19 kgs each. We had additional space of 600 kgs. So we decided to accommodate 101 satellites," ISRO chairman A S Kiran Kumar said. "Roughly half of our cost will be covered by the foreign satellites we are launching," he said, without revealing the exact amount ISRO will earn from foreign customers. The space agency has earned more than $100 million by launching foreign satellites. It also has achieved mastery on launching smaller satellites. 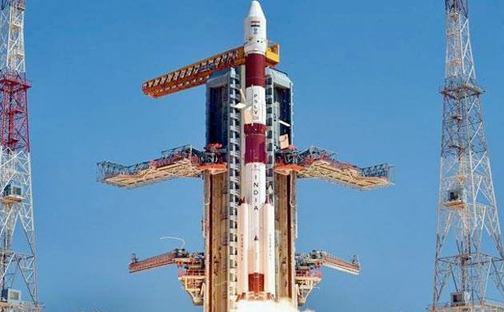 ISRO will launch a record 104 satellites through its workhorse rocket PSLV-C37 on February 15 from the Satish Dhawan Space Centre in Sriharikota in Andhra Pradesh. These 101 satellites are nano-satellites and belong to foreign nations, including the US and Germany. The Indian satellites are from the Cartosat series. Last year, ISRO launched record 20 satellites at one go. The highest number of satellites launched in a single mission is 37, a record that Russia set in 2014. The US space agency NASA launched 29. Kumar said ISRO is at present doing tests on its lander for Chandrayaan 2 at its facility in Mahendragiri in Tamil Nadu and Challakere in Karnataka.